The Sign Maker for the very best in Bespoke House Signs : The Limestone House Sign is a new addition to our range of stone signs. 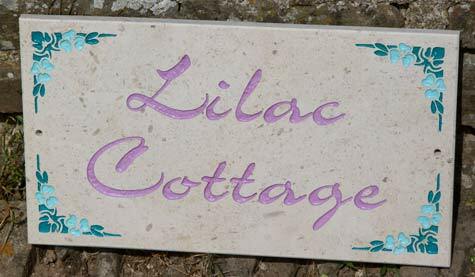 The limestone house sign is a recent addition to our range of stone signs. 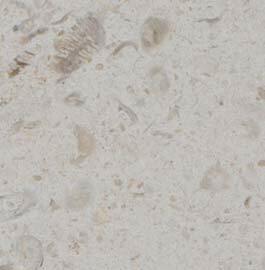 We came across the limestone while looking for new marbles and fell in love with it. If you study the stone you can actually see little fossilized creatures in the limestone. The stone is polished to a smooth matt finish and will be very long lasting. This house sign will suit most properties both in town or the countryside, depending on the style of lettering used. It certainly makes a change to slate which can be found everywhere. The sign to the right also shows some of our new colours - violet, blue-green and robin egg blue. Prices for a Limestone House Sign which include VAT. P&P rate after price. We have many styles of lettering you can use. To see a good selection - click here. We also have a huge library of images and decorative borders you can incorporate into your sign - click here. Just bear in mind not to choose an image with very fine lines. These house signs are sand blasted so the detail lines cannot be smaller than a grain of sand. Once the letters and images have been blasted the can be painted in any of the following colours:- gold, black, purple, violet, dark green, lime green, blue-green, crimson, pearlescent green, dark blue, mid blue, robin egg blue and pearlescent blue. Small standard images under 100mm £7.50, Medium Standard images 100-200mm £12.50, Large Standard Image 200-300mm £18.00, Larger than 300mm £20.00. For you own simple images add artwork charge of £17.50 for vector images and £27.50 for other images. Made in the UK. 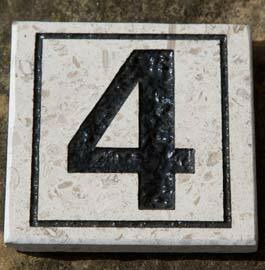 Our team at The Sign Maker looks forward to helping you with your limestone house sign.